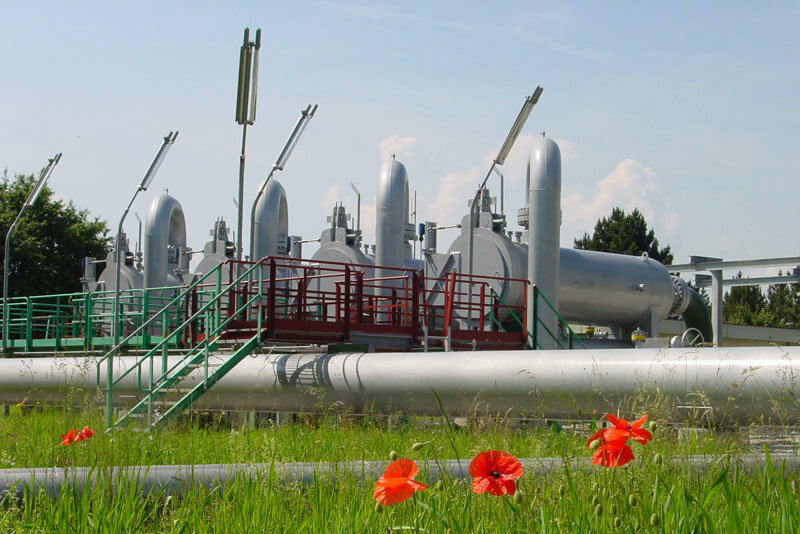 The Transitgas transport system consists of 292 km of natural gas pipeline with numerous tunnels, a compressor station with waste heat recovery plants, a metering station as well as diverse slide-gate valve stations. 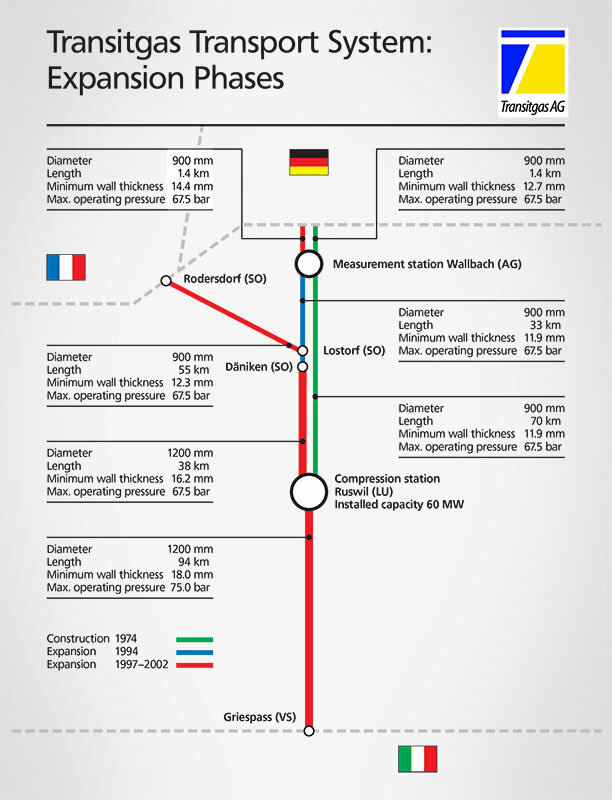 As part of the expansion of the Transitgas transport system in the years 1997 to 2003, a connection to the French gas grid was created. 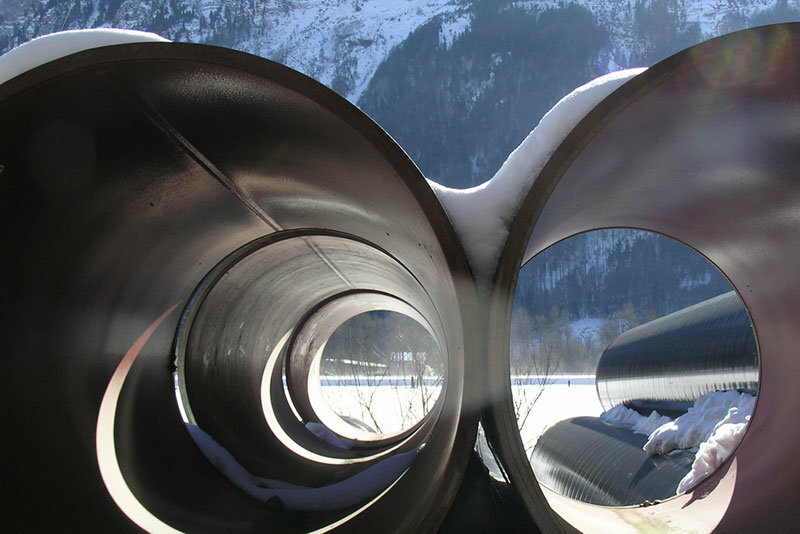 The 36”* pipeline enters Switzerland near Rodersdorf and runs for its greater part from west to east across the Swiss Jura to reach the existing pipeline system at the Lostorf station after almost 55 km. 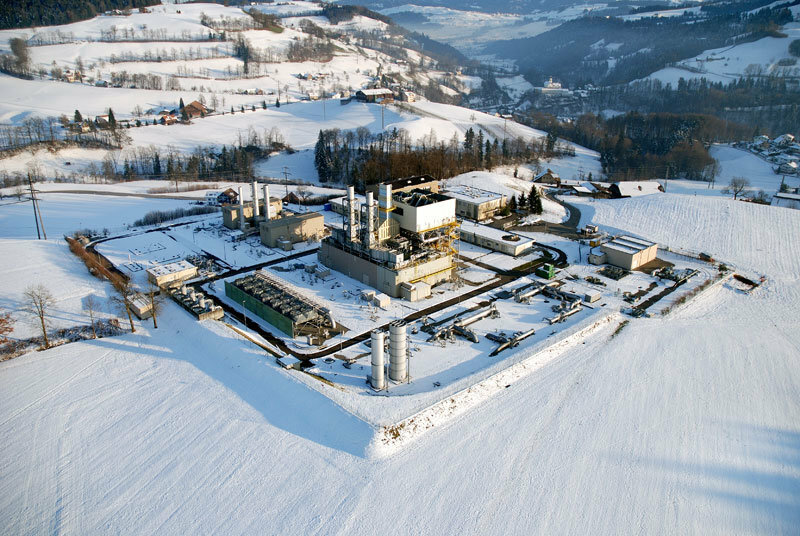 In Seewen another Swiss gas Industry exit metering station is connected through which natural gas for the Swiss market is drawn off. The current pipeline system consists of 131.7 km of 48”* pipeline and 160.7 km of 36” pipeline with a pipe wall thickness of 11.9 to 35.3 mm. 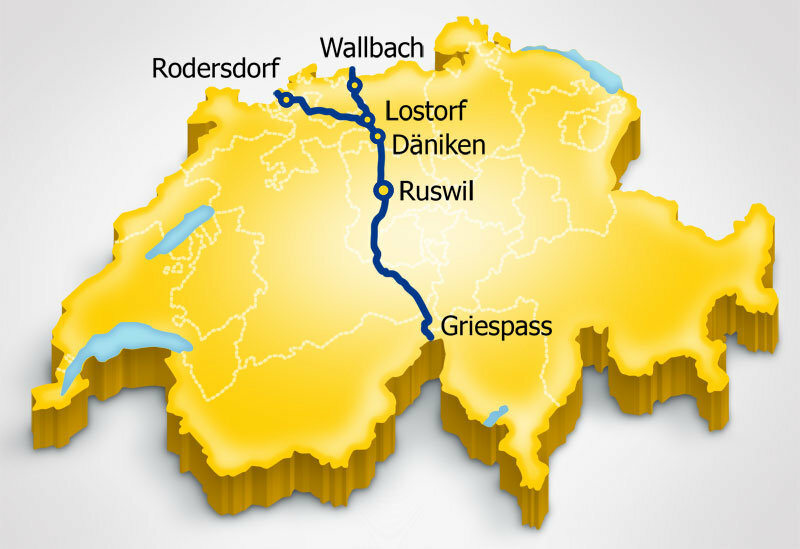 It crosses the Swiss Plateau and the Alps from north to south with connection to the French natural gas grid in the west. The reverse flow enables a more flexible gas supply, allowing now operation also from south to north and in any other possible direction. The two parallel pipelines from Germany cross under the Rhine and terminate in the pig reception station of the Wallbach metering station. Their diameters are 36”* each. Two 36” pipelines leave the station and run parallel to each other to the Däniken station. Here the diameter of one of the pipelines changes from 36” to 48”. Both pipelines carry on in a southerly direction to the Ruswil compressor station. Along the route eight Swissgas exit metering stations are connected, from which natural gas for the Swiss market can be drawn off. 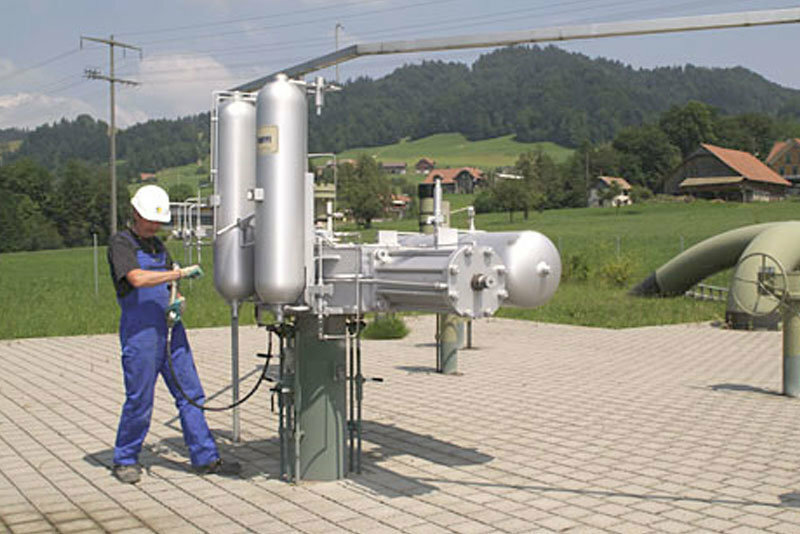 The Ruswil compressor station serves as the exit point for one pipeline with a diameter of 48”* which shortly afterwards reaches the pig and slide-gate valve station in Entlebuch. Up to this point the earlier 34” pipeline runs parallel to it for most of the way. It terminates at the pig gate in this station. This pipeline acts as an intermediate storage facility for the quantity of natural gas which would be set free in the event of a decompression in the Ruswil compressor station. The 48” pipeline continues to run south. After it has crossed the greater part of the Alps, it arrives at the Grieshorn Massive where it reaches Italian territory through a tunnel at a height of 2,400 meters. In Upper Valais another Swissgas exit metering station is connected through which natural gas for the Swiss market is drawn off. The route south of Ruswil crosses the Alps, i.e. 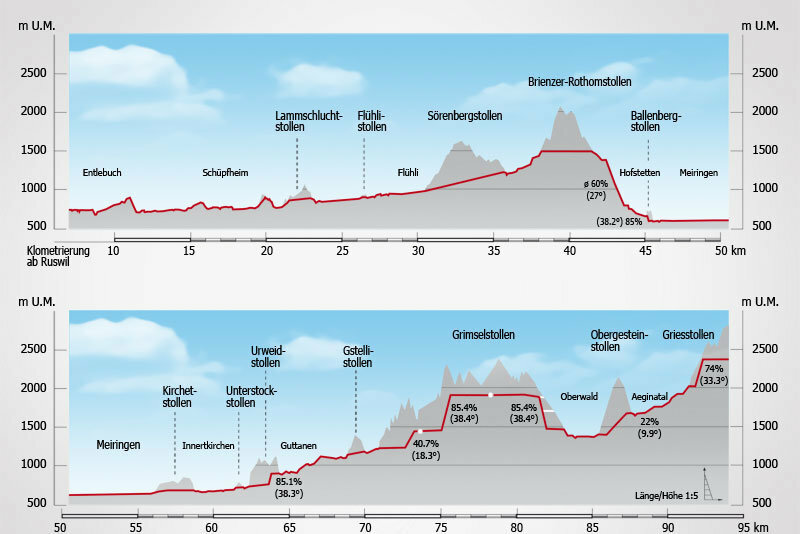 mountain ridges, such as the Brienzer Rothorn, Grimsel and Grieshorn had to be conquered. This was only feasible thanks to the tunnels built at altitudes of 1500, 1920 and 2400 m.
On the whole, the pipeline system consists of 14 passable tunnels of a total length of 37.4 km with cross-sections ranging between 9 and 12 m2. The pipeline is located on one side, a control passage on the other. 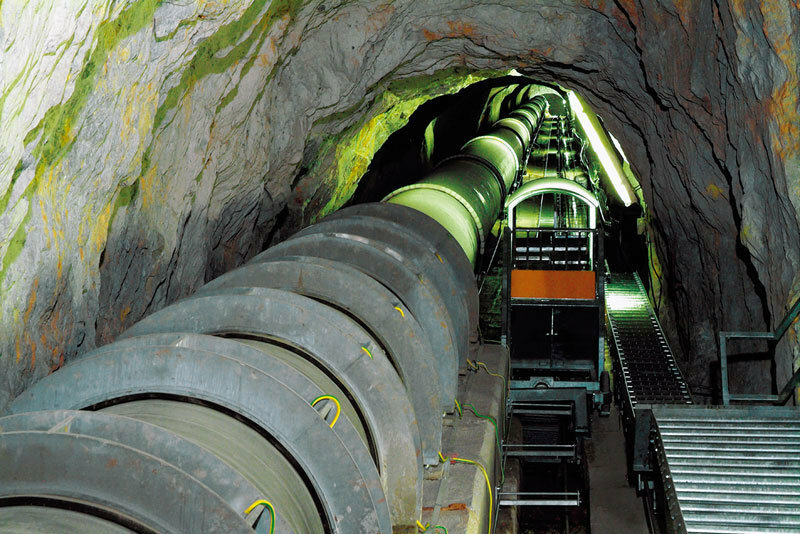 Some of the tunnels include sloping sections with lengths between 95 and 760 m and gradients from 41 to 85%. Along the whole of the natural gas pipeline there are stations at maximum intervals of 15 km in which remote-controlled slide-gate valves are installed for cutting off the flow of gas. All line valves are fitted with a drive which takes its energy from the gas pressure in the pipeline. The gas drive allows the slide-gate valves to be closed at any time – even in the event of an outage in the power supply.